Mugambi Jouet’s research focuses on criminal justice and comparative government from a multidisciplinary perspective. His writing has especially analyzed the peculiar historical evolution of American law, institutions, and sociopolitical culture compared to other Western democracies: Canada, European nations, Australia, and New Zealand. He is the author of Exceptional America: What Divides Americans From the World and From Each Other (University of California Press, 2017), a comprehensive book on the relationship between American exceptionalism and the intense polarization of modern America. His multiple scholarly articles have further explored the roots of attitudes toward crime, mass incarceration, and the death penalty. His forthcoming article, "Mass Incarceration Paradigm Shift? : Convergence in an Age of Divergence" (read on SSRN), in the Journal of Criminal Law and Criminology, compares the historical evolution of draconian punishments in the West. He has been interviewed by the media many times, such as on C-SPAN’s Book TV, National Public Radio, Radio Canada, France 24 TV news, and France Culture. His commentary has been featured in The New Republic, Slate, Mother Jones, The San Francisco Chronicle, The Hill, Libération, Le Nouvel Observateur, and Le Monde, France’s flagship newspaper. 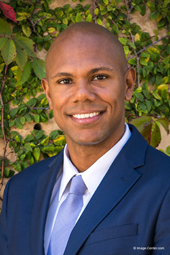 Before joining McGill in 2018, he taught at Stanford Law School for three years as a Grey Fellow. A member of the New York bar, he previously represented numerous indigent prisoners, from homicide cases to the “War on Drugs,” in Manhattan and the Bronx. He equally served as a judicial clerk at the U.N. war crimes tribunal for Yugoslavia in The Hague, and as an assistant clinical law instructor at Sciences Po in Paris. He has traveled widely internationally and is trilingual in English, French, and Spanish.